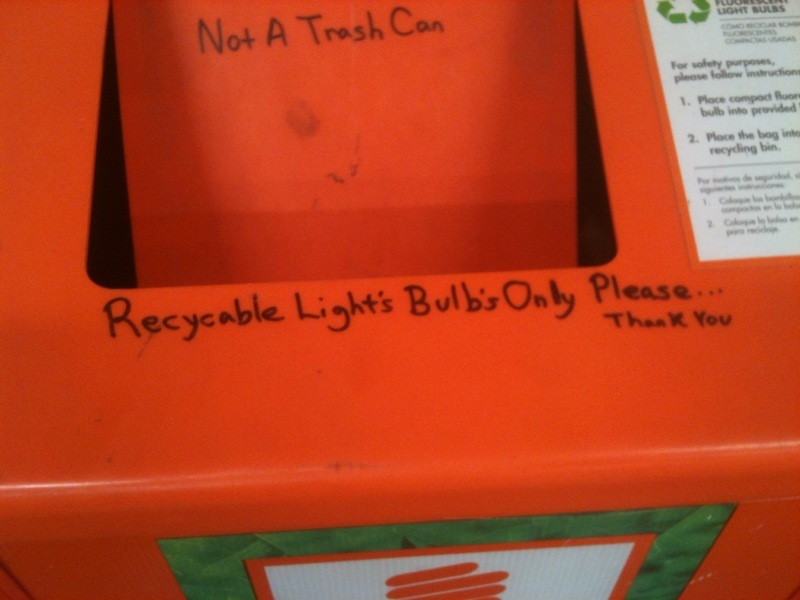 I spotted this confusing information on a recycable (sic) bin at Home Depot. In fairness, these folks are barely making minimum wage, and my transaction was speedy and courteous. ..a light’s bulb’s WHAT??? filaments?